Our care home programme - taking Totty's Afternoon Teas to our elderly communities. 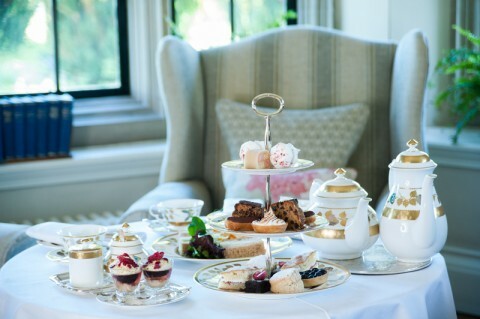 Why not celebrate in style with a Totty's Afternoon Tea package. Delivered and set up in your home or office, our all inclusive package does everything for you. Totty Teas offers two home delivery options, with a ranged of added value extras that enable us to develop an Afternoon Tea package to suit your specific needs. £12.50/person. Minimum order of six. Set up and collect. £14.50/person. Minimum order 10. Set up, collect, serve and clear. "An absolutely wonderful idea. My friends and I were so delighted with the food and the lovely ladies who helped us set the afternoon treat up. Wonderful !. Step 3. On booking a 30% holding deposit is taken and further £100 refundable deposit to cover any damage. A further 30% of the total costs is paid a week before the event and the remainder on its completion. 48 hours before event no cost. 24 hours before event 30% deposit retained. Less than 24 hours before event 60% of costs retained.